Pink Mist, encaustic and oil on board, 10" x 10"
Summer Storm, encaustic and oil on board, 24" x 24"
Looking Beyond, encaustic, oil on board, 14" x 14"
Open Field, encaustic on board, 24" x 24"
Linda Cordner grew up in Connecticut and studied fine art, with concentrations in graphic design and painting, at the University of Connecticut. She works in her studio in Lincoln, Massachusetts. I am very drawn to wax and its tactile qualities, the smell and viscosity of the medium are very different from other painting techniques. Creating organic forms is a natural extension of wax's origin. Coming from a background in graphic design, I am drawn to certain color schemes and shapes, the repetition and placement being important to the composition. My paintings are made by layering multiple coats of wax which can completely obscure the underlayers at times. I then scrape away areas of the wax to expose the compositions below. 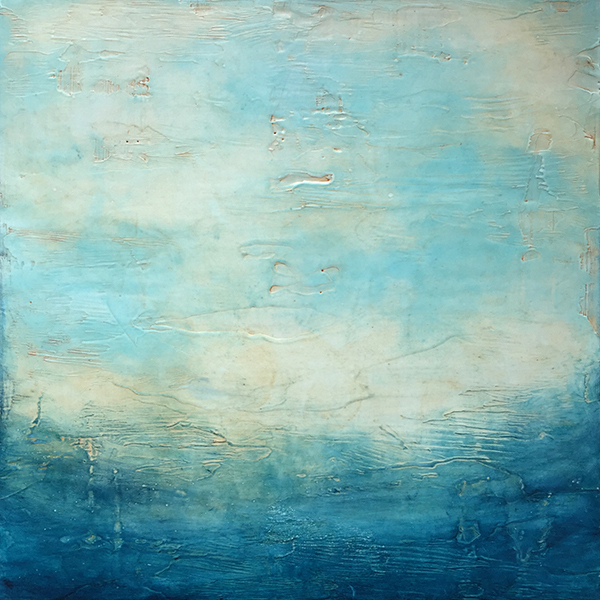 The word encaustic, from ancient Greek, means "to heat" and that is the basis for encaustic painting. Wax, primarily bees' wax, with or without added pigment and mixed with a small amount of damar resin, is heated to a liquid state and applied to a ground with brushes. Painting is done quickly, as the wax starts to harden as soon as it is separated from its heat source. 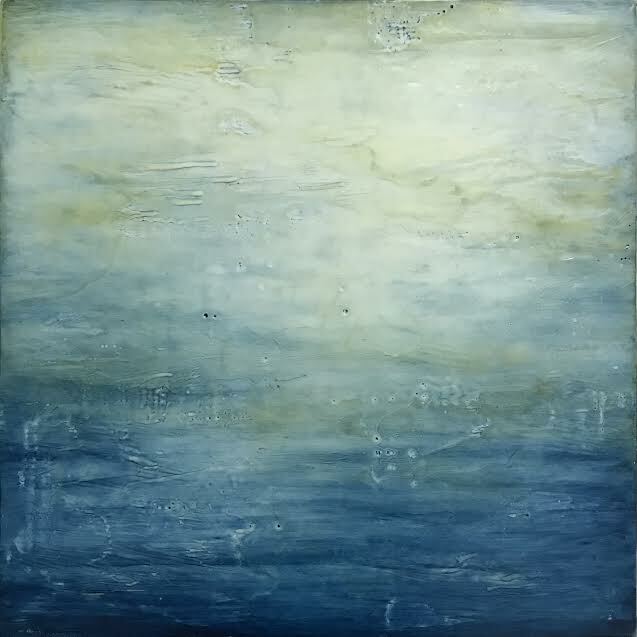 Each painted layer must be fused to the next to create a solid piece that becomes the encaustic painting. It is one of the most durable painting mediums since wax is impervious to moisture and over time will retain its original colors. We believe art should be accessible to everyone - ask about our Payment Program.